DEBATE: Is it time to put the dream of elected mayors to bed? The Policy & Politics Blog features debates from recent issues. An extract is below, then please click on the link at the end to download the full article. 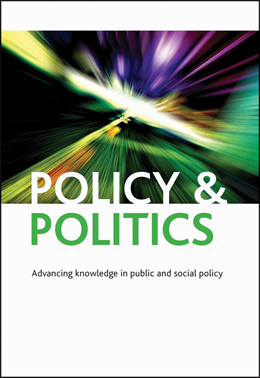 Policy & Politics is the leading journal in the field of public policy with an enviable reputation for publishing peer-reviewed papers of the highest quality . In May 2012, ten of England’s major urban local authorities held referendums on moving to a model of governance focused on a directly elected mayor. Only one city – Bristol – voted in favour. Elsewhere the proposal was rejected relatively decisively, albeit with a generally low voter turnout. David Cameron’s coalition government has emphasised large urban areas as drivers of economic growth. It has championed elected mayors as the mechanism for delivering the leadership necessary to capitalise on the potential of our cities. The outcome of the referendum therefore represents a significant setback. May’s referendums are only the latest instalment in this saga. The leitmotif is central government enthusiasm finding limited resonance at local level. Given that we have had several unsuccessful attempts to (re)invigorate the idea of elected mayors for England, is it now time to put the idea to bed? Read the rest of this article by downloading the pdf (free).